In part 1 of this series, I outlined the design for implementing a virtual desktop infrastructure solution using VMware View. In this part, I demonstrate how to install and configure the VMware View Connection Server and View Composer in preparation for deploying virtual desktops. The View Connection Server acts as a broker for client connections by authenticating and then directing incoming user requests to the appropriate virtual desktop (or physical desktop/terminal server). View Composer is a software service that allows View to rapidly deploy multiple linked-clone desktops from a single centralised base image. At the time of writing, the current version of VMware Horizon View is 6.2.1. However before we can install either the Connection Server or Composer there are a few things we need to configure first. As per the design, three View Connection Servers will be used (see part 1, D38). Create four virtual machines (view1, view2, view3 and composer) in your vSphere environment. Install Windows Server 2012 R2 on each server and patch with the latest updates. Install VMware Tools and then add to the Active Directory domain. On your workstation, download and install OpenSSL 0.9.8 for Windows if you don’t already have it. You can download it from http://slproweb.com/products/Win32OpenSSL.html. Ensure you modify your system path variable to include the OpenSSL bin folder (this will require a reboot to take effect). The following assumes a Certificate Authority is in place (see part 1, Assumptions, A4), along with a certificate template called “VMwareView”. For assistance on how to create a template for View, please refer to Derek Seaman’s excellent guide at http://www.derekseaman.com/2012/09/create-vmware-windows-ca-certificate.html. Open a Microsoft Management Console and add the Certificates (Local Computer) snap-in. Expand the Personal sub-folder, and then click Certificates. Click OK and close the MMC. However for some reason this becomes corrupted when using certutil to import the file. When I have more time I plan to investigate this. Repeat the above steps for the view2, view3 and composer virtual machines, editing the config file and modifying the commands accordingly. Install each certificate on each virtual machine. We will need two SQL databases for our installation. The first will be the View Events database for the View Connection Server, the second will be the View Composer database. 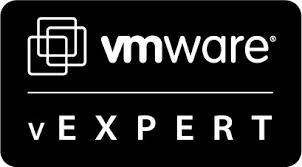 The requirements can be found at https://pubs.vmware.com/horizon-62-view/index.jsp#com.vmware.horizon-view.installation.doc/GUID-5B2266B8-EA3C-4F49-BABB-2D0B91DE6C1D.html. The design assumes a Microsoft SQL Server is in place (A8). Whilst one is available, it is not clustered or configured for an Availability Group, which violates the requirement that ensures there are no single points of failure (R2). This must also be added to the risk register. For the installation we will need two Active Directory domain accounts. The first will be used by Horizon View to connect to vCenter. The second will be to connect to the View Composer server. 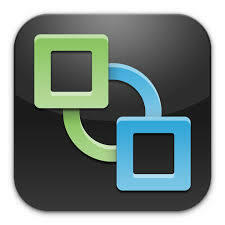 VMware Horizon View will need to connect to your vCenter server to perform provisioning operations. To do this we will create a new role for the account and grant it the necessary permissions. Finally we will assign a domain account to the role. On your workstation, download and install PowerCLI if you don’t already have it. At the time of writing, PowerCLI 6.0 R3 is the latest version available, and is available from https://my.vmware.com/group/vmware/details?productId=491&downloadGroup=PCLI600R3. $vc = Read-Host "Enter the vCenter Server name"
Download the VMware View Connection Server installer from VMware to view1, view2 and view3. At the time of writing the current version is 6.2.1, and the installer is VMware-viewconnectionserver-x86_64-6.2.1-3284346.exe. VMware-viewconnectionserver-x86_64-6.2.1-3284346.exe /s /v"/qn VDM_SERVER_INSTANCE_TYPE=1 FWCHOICE=1 VDM_SERVER_RECOVERY_PWD="VMware1" VDM_SERVER_RECOVERY_PWD_REMINDER="You'll never guess""
After about ten minutes the installation will complete. When it has, event ID 1033 will appear in the application event log. VMware-viewconnectionserver-x86_64-6.2.1-3284346.exe /s /v"/qn VDM_SERVER_INSTANCE_TYPE=2 FWCHOICE=1 ADAM_PRIMARY_NAME="view1.nl.mdb-lab.com""
Before we can install View Composer we need to perform a few steps first, such as install .NET 3.5 SP1 and configure an ODBC data source. Download and install the SQL Server Native client from https://www.microsoft.com/en-us/download/details.aspx?id=27596. In the Data Source Name (DSN) field, type ViewComposer. In the username field enter sa_viewcomposer, and the password you entered previously in the remaining field. Finally click Finish. Click Yes to restart the system when prompted. Click to uncheck Users, and in the Name/User field type then name of the group previously defined (View Admins in the example above). Click Find to select the group, then click OK.
Click to check the box for Root, then click Finish. In this part we installed and configured the View Connection Servers and View Composer. In part 3 we configure our templates for our virtual desktops.